A good position is not only nice to watch but is also suitable to connect the motion of the horse and rider together. That said, no rider has the perfect position and everyone must deal with their own physical limitation. However, riders ought to get as close as possible to that perfect position. 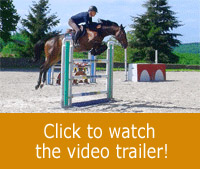 In this video, Michel demonstrates the key elements of a position that will allow the rider to work in harmony with his horse. The slow motion sequences will help you view and integrate the correct motion of each part of the rider’s body as shown here by Michel. When on a horse, the rider is held by the saddle. He can lean forward or backward or even seat crooked without falling. 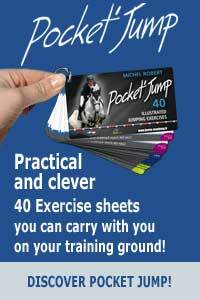 It explains why numerous riders won’t pay much attention to the quality of their position. We don’t find that issue in most of the other sport involving balance. Unfortunately, the longer we let the bad habit take place, the harder it will be to change it. In case the bad habits are well anchored, it is important to allow a period of time to make the modifications. “Rome was not built in a day”. For that matter, even though the rider will make great progress, the rider should stay alert at all time as it is extremely easy to fall back into such bad habit. As Michel always says: “I’ve been improving my position between age 50 and now”. Achieving a good position is a daily training and requires a strong will….Bad habits die hard. That said, everyone can progress, whatever the level or the age.